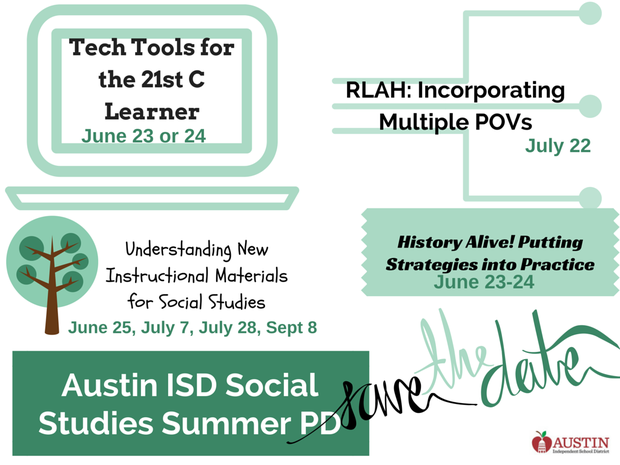 Save the Date for AISD Social Studies Opportunities! We'll send out registration information in April, but until then, Mark Your Calendars! Registration of $100 includes on-campus parking, continental breakfast, lunch most days, handouts and materials, and admission/tour fees. 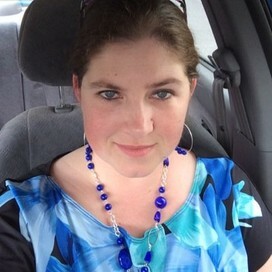 I attended this training about 7 years ago, and it was one of the top 5 trainings I have been to. You get to see economics professors teaching rising high school seniors and then discuss how to incorporate the economics ideas into lessons with certified economics teachers. All lunches included. I strongly encourage any teacher who wishes to add more economics into his/her lessons to attend this training! Registration of $175 for four meals, reception, over $200 in materials including new and improved Virtual Economics v.4.5! with additional books, strategies and GB space. 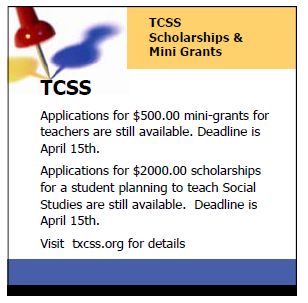 Application Deadline: Monday, March 16, 2015. 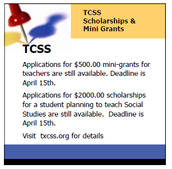 TCSS Available Awards and Scholarships for Teachers! 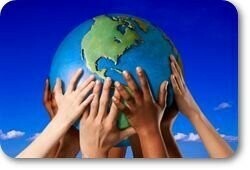 Keep in touch and let us know what You'd like to see more of!